The demand for qualified candidates will continue to grow with open access to data sets, the introduction of new software applications, and the increased applicability of data analytics to new market segments. If you are currently working in analytics or a related field, this program can train you to identify and leverage key opportunities to support your organization’s strategic objectives. And once you know how to turn your findings into actionable insights, you will be indispensable to any employer. Builds on the initial Certificate in Big Data Analytics to further develop the skills required for individuals to pursue a career in the field of Data Analytics. You will learn relevant data analytics tool sets, advanced methods for data analysis and apply your knowledge with a hands-on capstone course that includes analyzing real-life scenarios. Pre-Requisite: To enrol in the Certificate in Advanced Data Science and Predictive Analytics, students must have successfully completed the initial Certificate Big Data Analytics. The Certificate in Big Data Analytics as a stand-alone offer, as well as the bundle of the Certificate in Big Data Analytics and the Certificate in Advanced Data & Predictive Analytics Certificates taken together, are direct registration programs. No application process is required; simply enrol in the session of your choice to get started. To register directly in the Certificate in Advanced Data Science and Predictive Analytics, you must either complete the Certificate in Big Data Analytics first or be able to demonstrate equivalent education/work experience. Direct enrolment into the Advanced Certificate is subject to review and approval by the Program Manager and is granted only by exception. The Big Data Analytics Certificates are delivered via blended learning on a part-time basis. 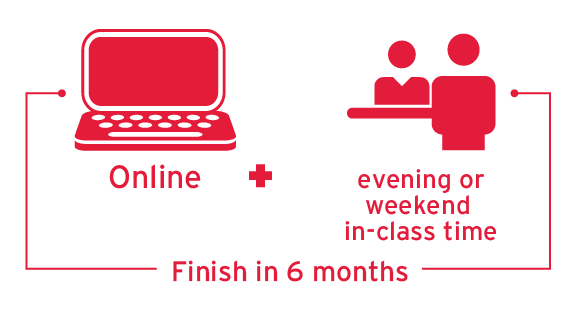 Each certificate entails online coursework as well as bi-weekly on-campus classes, which may take place on evenings or weekends depending on the section you choose. Each course in the program is only eight weeks long and you can complete the certificate in just six months. Current analytics professionals who are seeking a university credential for career advancement. Roland Merbis, Director of Customer Insights & Analytics at Scotiabank. Hashmat is the Senior Director and Managing Enterprise Architect at The Co-operators Group. For over 10 years he has effectively led initiatives that have involved rapid advancement in data, analytics, digital, and business leadership. As a technology enthusiast and lean startup evangelist, he is renowned for building a “never rest, kill complexity and care more” culture that manages existing technical debt and prepares the organization for future disruptions by leveraging emerging business models and digital ecosystems. Hashmat is a published data science, IT, and agile delivery practitioner and academician with over 5 years teaching and curriculum development experience at colleges and universities in Canada. He has also organized conferences and workshops, and been interviewed on print, radio, social media and TV as an analytics expert. Tarun Dhot is a principal consultant at Capco and advises financial institutions in how they can derive business value through their data assets. Tarun is a recognized leader in the fields of advanced analytics and machine learning, serving on advisory councils of industry bodies. Tarun previously held management and consulting roles at CIBC including leading the advanced analytics group and supporting multiple business verticals that included client experience, fraud strategy, decision science, channels, products and payments. Tarun has also collaborated with multiple organizations including the Los Alamos National Laboratory and Google. Tarun holds a Master’s degree in Computer Science specializing in Artificial Intelligence and a Bachelors in Electrical Engineering. Duncan Rowe is a public sector executive who cares about helping York Region experience the power and value of using data for good. A leader in the data, analytics and visualization services branch, the team Duncan leads loves to work with people and their data. Duncan gets great satisfaction when clients enhance their programs informed by analytics, are inspired by visuals to share, and connect deeply through data storytelling. He has over 25 years’ experience working in the field, and has been working at the Regional Municipality of York for more than 15 years. In addition to building data and analytics capacity across the organization, Duncan and his team provide corporate analytics and visualization services to all of the service areas delivered in York Region. Duncan has an undergraduate degree from York University, and a Masters Certificate in Municipal Leadership from the Schulich School of Business. Roland Merbis is responsible for leveraging customer data and feedback into meaningful insights that drive business results for Scotiabank. He has close to 20 years’ experience in the customer insights profession, starting as a market research professional supporting clients in various industries, from consumer packaged goods to government agencies. In his current role, Roland champions the voice of the customer and manages a team of data analysts and data scientists with a mandate to integrate market research insights with the bank’s customer and transactional data. His team is responsible for developing strategic insights using consumer research data and customer analytics to effectively manage business issues and identify business growth opportunities. 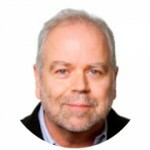 Roland currently serves as treasurer on the Board of the Canadian Mental Health Association (Durham) and recently completed his term as member of the National Board of Directors of the Marketing Research & Intelligence Association (MRIA). Rachel Solomon is the executive director of performance improvement at the Centre for Addiction and Mental Health, with accountability for enabling standardized, evidence-informed and data-driven decision-making and quality improvement throughout the hospital. Previously, Rachel held a variety of senior management roles at Toronto Central Local Health Integration Network (LHIN). Most recently, she was the senior director of performance measurement and information management, leading the LHIN’s analysis and performance measurement work, capital planning, and initiatives to improve quality and equity in health care. Prior to joining the Toronto Central LHIN, Rachel worked at University Health Network as the director of health system integration, leading the provincial development and implementation of the multiple provincial information systems. In this capacity, she also oversaw the first regional implementation of a referral program in Toronto that matches patients’ needs to system resources. Previously, Rachel worked in the Ministry of Health and Long-Term Care in several capacities, including managing the provincial Wait Time Strategy and playing an instrumental role in the implementation of the Ontario Stroke Strategy. Ian Scott is Deloitte’s Chief Data Scientist and leads advanced analytics and big data practice. He received a Ph.D. in Physics in 1993 from Harvard University.Previous positions in private industry he has held include vice-president at Lattice-Engines (a Silicon Valley big data company), CTO of Angoss (Toronto-based analytics software company on the Gartner Magic Quadrant serving banking and the broader financial services industry) and data scientist at Capital Fund Management (a Paris-based hedge fund). Ian’s academic career includes professor and postdoctoral positions at the University of Wisconsin-Madison, Stanford University, and CERN (European Centre for Particle Physics Research in Geneva). Boris Krajl holds a PhD in Economics from York University. Dr. Kralj has lengthy experience in various management, research, and consulting positions with both public and private sector organizations. Currently he holds the positions of Chief Information Officer/Chief Analytics Officer at the Ontario Medical Association (OMA). He provides leadership and oversees the technology as well as the economics, research, and analytics functions. He is responsible for the effective planning, development, deployment, security, operation and support of OMA and its subsidiaries, information and communication technologies to support the OMA’s strategic business objectives and operations. Additionally, Dr Kralj provides guidance and oversight to the economic research, policy, and evaluation work associated primarily with the negotiation and implementation of physician fee-for-service (FFS) and non-FFS agreements and the physician fees/tariff setting processes. He he is also responsible for enterprise analytics initiatives. Dr. Kralj has authored and published a broad variety of research reports. His publications relate to physician payment reform, primary care, medical services utilization, physician human resources, workers’ compensation, physician billing, oncology practices, prescribing patterns, and walk-in clinics. He has lectured on microeconomics, macroeconomics, industrial organization, and labour economics for over 15 years. Growing opportunities to collect and leverage digital information has given birth to various new areas of data analytics. Gain an introduction to the exciting world of data analytics with emphasis on preparing you for the INFORMS CAP® designation. 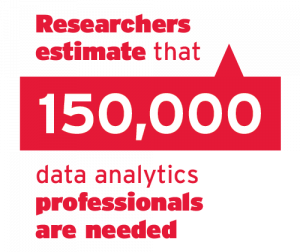 Exploratory analysis and prediction are among the most common tasks performed people new to the field of big data. Learn the basic components of exploration, visualization, feature engineering and building and applying basic prediction models with an emphasis on practical applications. Study the evolution of approaches to data provision and extensions that support big data. Learn data provisioning techniques to support new types of big data and the related analytic demands and workloads applied to it. You will capture, store and understand how to provide metadata to processes and analysts who require it. The potential insights that big data can provide can be very valuable for organizations. However storing, transforming and analyzing big data can be challenging. 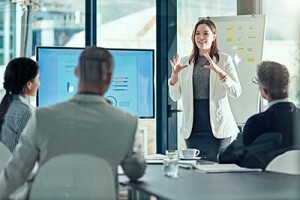 Explore the analytics tools that will allow you to apply traditional data analytics and business intelligence skills to big data. Discover the complete process of building prediction functions, including data collection, feature creation, algorithms, and evaluation in this advanced course. A range of machine learning model based and algorithmic machine learning methods will be introduced. You’ll also learn how to apply learning algorithms to mining social media and network (sentiment, influence), text understanding (web search, anti-spam), database mining, and other areas. Exercise the skills acquired in the previous five courses as you analyse a case study with data sets. This hands-on course requires analyzing a real-life scenario, including data collection, preparation, integrating, modelling and analyzing and will result in a practical example that you can use to demonstrate your skills and knowledge to potential employers. Mayy is a software engineering professor and she has practical hands-on experience in developing machine learning algorithms and big data recommended systems. Her research work has been published in the IEEE Transactions on Software Engineering journal and she has participated and published conference papers at the “IEEE Big Data” and the “Data mining software repositories” conferences. Mayy has developed and delivered courses in the areas of big data, data analytics, and data mining at universities and colleges across Canada. Her practical 20+ years of experience covers the banking, telecommunication and academic industries. 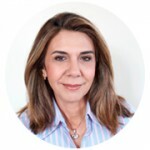 She has led many projects in fields of CRM, geo-marketing research, business intelligence, network expansions and channel migration across several countries worldwide. She continues to support data analytic initiatives in organizations, with a focus on maximizing the value obtained from data by building analytical models that relate to data & business processes with the objective of providing information for key decisions. Masoum is the Director of Data Science at Royal Bank of Canada where he leads a team of highly-skilled data scientists and engineers. Prior to joining RBC, Masoum was the Senior Manager of Advanced Analytics at Aimia, a data-driven marketing and loyalty analytics company. 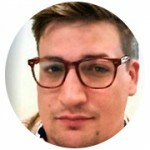 As a hands-on practitioner, he has experience building and deploying predictive models that optimize marketing decisions for clients in the Retail, CPG, Financial Services, Travel, and Loyalty sectors. He holds a B.Sc. in Mechanical Engineering from the University of Toronto and a Master of Management Analytics from Queen’s University. 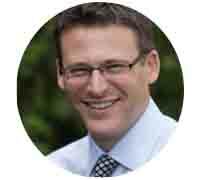 Mark is a leader, consultant and educator in the fields of business intelligence and data analytics. In the corporate education area, Mark has developed and delivered many courses on topics related to big data, data provisioning, data quality, data governance, analytics and business intelligence. He has delivered courses in both classroom and online formats to corporate and government clients on a global basis. In the consulting and operations fields, Mark has worked in information strategy, performance management, control center operations, transaction control, compliance, business intelligence, analytics, simulation, application development, 5 program leadership and project management. He has built and developed high performing teams that delivered quality results. Mark has significant industry experience in the energy sector gained from operational, leadership and consulting roles at production, transmission and distribution companies. His domain experience is primarily in system operations, commercial transaction control and asset management. As a Certified Business Intelligence Professional (CBIP) at the Mastery Level, his expertise has been demonstrated in the areas of analytics, information management and team leadership. 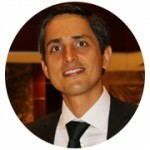 Hashmat is the Senior Director and Managing Enterprise Architect at The Co-operators Group. For over 10 years he has effectively led initiatives that have involved rapid advancement in data, analytics, digital, and business leadership. As a technology enthusiast and lean startup evangelist, he is renowned for building a “never rest, kill complexity and care more” culture that manages existing technical debt and prepares the organization for future disruptions by leveraging emerging business models and digital ecosystems. 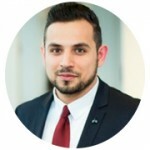 Hashmat is a published data science, IT, and agile delivery practitioner and academician with over 5 years teaching and curriculum development experience at colleges and universities in Canada. He has also organized conferences and workshops, and been interviewed on print, radio, social media and TV as an analytics expert. Matthew has spent the past several years working with big data and smart cities in order to better understand where, when, and by whom location-data might be used in real-world applications. His interests has been focused on how code, space, and place coalesce through physical and virtual worlds, as people use mobile and digital technologies to navigate through their everyday lived experiences. Matthew’s work is the implications of big data technologies as they integrate more and more into our daily lives with potential of altering forms of participatory democracy. Matthew is a Senior Geospatial Data Scientist at the City of Toronto, PhD Fellow at McGill University, and was previously a Research Developer at Esri Canada Inc.
With over 10 years of experience, much of Matthew’s work has focused on developing and implementing new ways to explore and use big data in decision support systems that provide real-time feedback in domains such as urban planning, policy formation, and community representation. The list below provides an overview of the different software that may be used in our courses. As our program keeps up-to-date with current industry demands, please note that the actual software used and taught within each program is subject to change. All students will require access to a personal computer while in the Data Analytics program. If the program has its in-class sessions held in a computer lab, a desktop computer is sufficient. However, if you are registered in a program that has its in-class sessions held in a classroom, a laptop computer is required. All registrations are processed on a first-come, first-served basis, so early registration is recommended. The School of Continuing Studies reserves the right to alter fees, other charges, instructors and course dates/locations described in this brochure. The School of Continuing Studies allows students in certificate programs the option of paying in two or more instalments. You must pay the initial payment as stated below and then you can create a payment schedule that works for you, as long as the balance is paid before the stated due date. Certificate in Big Data Analytics– The first payment of $1299.00 (CAD) is due upon registration with the balance due by program start date. Certificate in Advanced Data Science and Predictive Analytics– The first payment of 1599.00 (CAD) is due upon registration with the balance due by program start date. Bundle package for both programs (Certificate in Big Data Analytics + Certificate in Advanced Data Science and Predictive Analytics) – The first payment of 2475.00 (CAD) is due upon registration with the balance due by the program start date. Customized payment plans are available to align to employer policies, but are not available for individuals. For further information please contact the Registration and Student Records Coordinator at 416-736-5616. All correspondence, including your registration confirmation, will be sent to the email address provided at the time of registration. If you do not pass a course (achieve a final grade below 50% or D) you will still be permitted to continue in the Program but will have to repeat that course with another cohort. Please complete the form and return it via email continue@yorku.ca or via fax at 416-650-8042.